Glass as a building material demonstrates the nature of the architectural discipline, where science and building practice are closely linked. Papers show new research findings as well as new practical application. Facade Design and Engineering is a multidisciplinary field that touches many other scientific disciplines. Glass is one of the key materials for building envelopes, and a strong scientific community has developed over the last decade. Designers love glass for its transparency. It is strong but brittle and very demanding in terms of engineering. We continuously see new innovative developments in terms of its climatic performance, structural possibilities, construction design and new applications. Reason enough to dedicate this special issue to the topic. The issue would not have been possible without the contribution of our special editors Jan Belis and Christian Louter, who contributed through their outstanding editorial work and network. Most of the papers in this issue were carefully selected from of a number of invited submissions and conference papers of the COST Action TU0905 Mid-Term Conference, April 17+18 2013, Porec, (CRC Press/Balkema, Leiden) and subsequently subjected to the regular blind review process of the journal. Glass as a building material demonstrates the nature of the architectural discipline, where science and building practice are closely linked. Buildings are the live testing bed for scientific research and, at the same time, building practice formulates new research questions. We found that many articles sent to us deal with this relation. Therefore we decided to introduce the new category ’Applied Practice’ for certain journal paper contributions, which from now on can be found at the end of each issue. Although they do not need to be purely scientific, ’Applied Practice’ papers will always discuss new developments, will have a clear structure and are subjected to the strict JFDE review process. Façade Design and Engineering is a peer reviewed, open access journal, funded by The Netherlands Organisation for Scientific Research NWO (www.nwo.nl). We see ’open access’ as the future publishing model. But it certainly requires new financial models which we will have to explore in the coming years. The introduction of ’Applied Practice’ papers also serves a role here by linking the journal to a scientific as well as to a large professional audience. In this manner, it can fulfil its role to disseminate scientific knowledge. We are pleased to announce that we have been able to broaden the team around JFDE with Thaleia Konstantinou and Marjan Vrolijk as managing editors who will, along with the team members from IOS Press Amsterdam, certainly contribute to the quality of this publication. 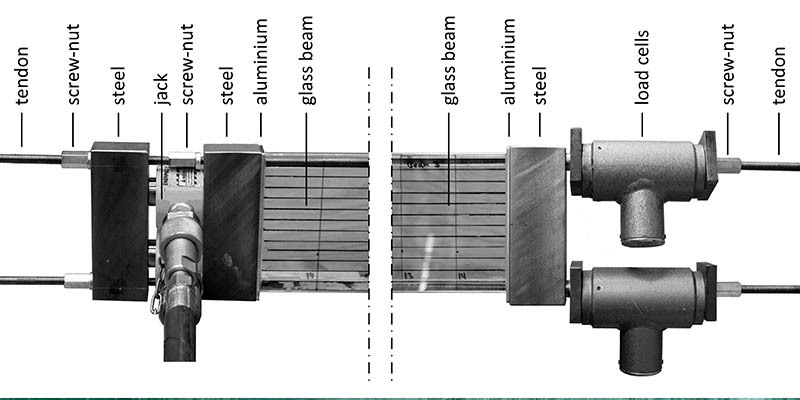 The mechanical response of post-tensioned glass beams is explored in this paper. This is done through bending experiments on post-tensioned glass beam specimens with either mechanically anchored or adhesively bonded steel tendons by which a beneficial pre-stress is inflicted on the glass beams. In addition, reference beams with identical geometry but without tendons are tested. 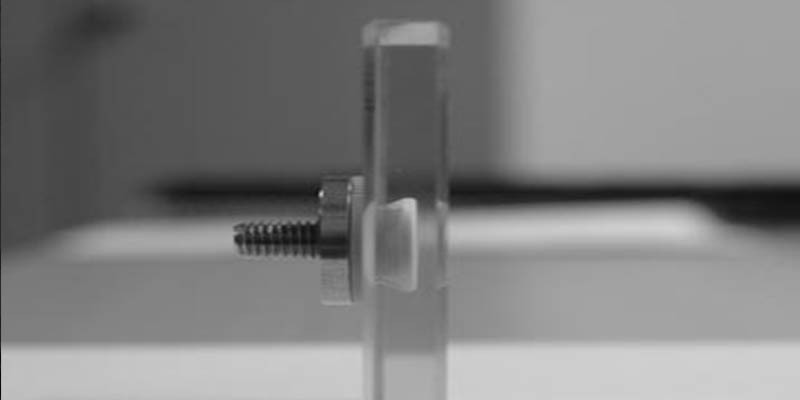 From the results of the bending experiments it can be seen that the post-tensioned glass beams reach higher initial fracture loads than the reference glass beams. Furthermore, the post-tensioned glass beams develop a significant post-fracture reserve. 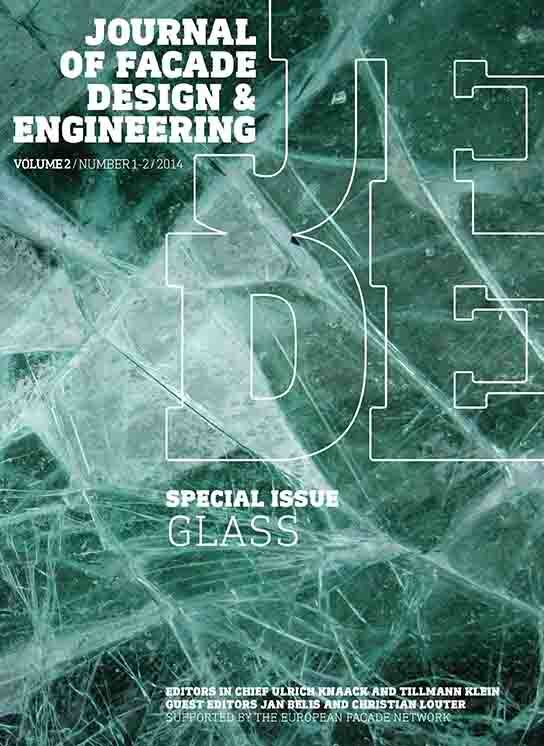 From this it is concluded that post-tensioning a glass beam is a feasible concept, which provides increased initial fracture strength and enhanced post-fracture performance. Permasteelisa Group developed with Fiberline Composites a new curtain wall system (Thin Environmental Cladding or TEC), making use of pultruded GFRP (Glass Fiber Reinforced Polymer) material instead of traditional aluminum. Main advantages using GFRP instead of aluminum are the increased thermal performance and the limited environmental impact. Selling point of the selected GFRP resin is the light transmission, which results in pultruded profiles that allow the visible light to pass through them, creating great aesthetical effects. However, GFRP components present also weaknesses, such as high acoustic transmittance (due to the reduced weight and anisotropy of the material), low stiffness if compared with aluminum (resulting in higher facade deflection) and sensible fire behavior (as combustible material). 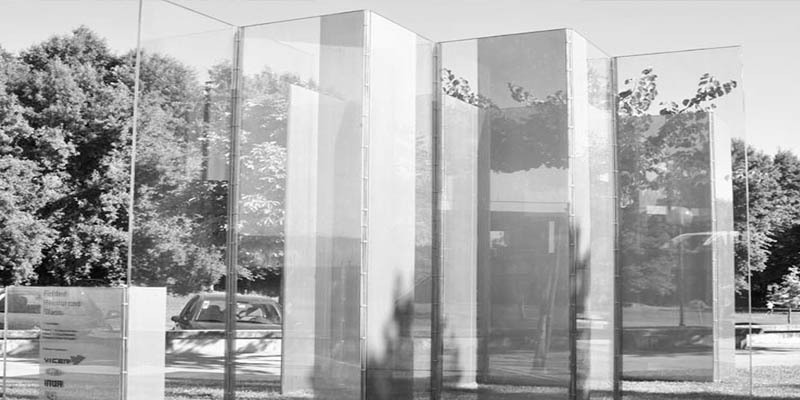 This paper will describe the design of the TEC-facade, highlighting the functional role of glass within the facade concept with regards to its acoustic, structural, aesthetics and fire behavior. The highest transparency in glass facades is obtained with point fitted glass units. Point fitted insulating glass units minimize thermal bridging and lead to glass facades with better energy efficiency. Though, insufficient knowledge is present to offer a design method for point fittings in insulating glass. Therefore research has been carried out to extend the existing SLG-design-method (Linear superposition of local and global stress components) of Beyer for point fitted single and laminated glass to insulation glass units. This paper presents the first results of this research campaign. Load bearing tests on point fittings in single glazing have been conducted. A finite element model of the point fitting is calibrated by strain comparison. A test campaign for the deviation of a material law for silicone, used as secondary sealant in the edge seal system, is presented. The verified FE-model is implemented in a selected insulation glass unit, and the influence of the edge distance of the point fitting, as well as the edge bond stiffness and geometry on the stress peak at the borehole is investigated. In addition, the size of the so called ‘local area’ is adjusted for insulation glass units. In the last years an increase of the number of building projects with built-in curved glass can be observed. 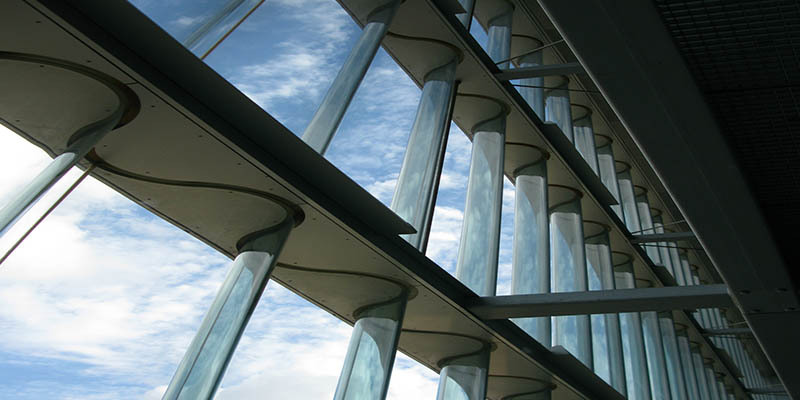 The applications can principally be curved monolithic glass, laminated safety glass or insulated glass. This fact makes it absolute of interest to make more investigations in this field. The investigations can be focused on e.g. the process of the bending of the glass to bring it into a certain shape, or the very difficult topic of pre-stressing it. The state of the art of the production process of such glass shows some different ways to produce curved glass. The most used way is to bend the glass at a high temperature of more than 550° Celsius. 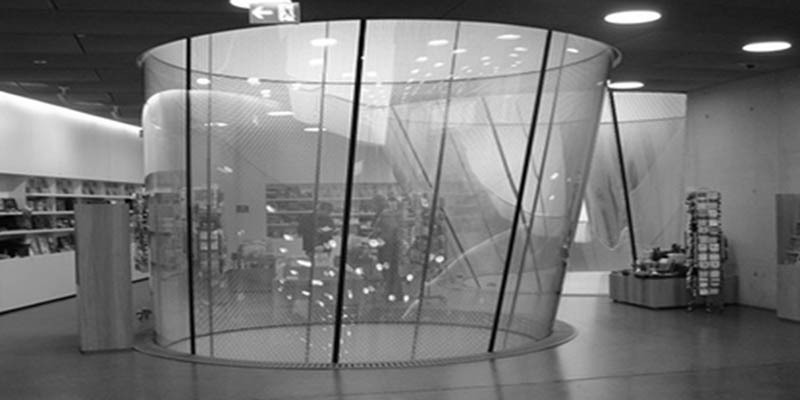 Another kind of curved glass can be achieved in combination with the laminating process. With the cooling down at the end of the laminating process the interlayer becomes stiff enough to hold the shape by activated shear forces between the glass layers. Another possibility is to produce flat glass and bend it while mounting the glass. The question how to pre-stress curved glass is on the very first beginning of investigations. All these different processes are on the first view very easy but very difficult in the detail. The recent demand for architectural transparency has drastically increased the use of glass material for structural purpose. 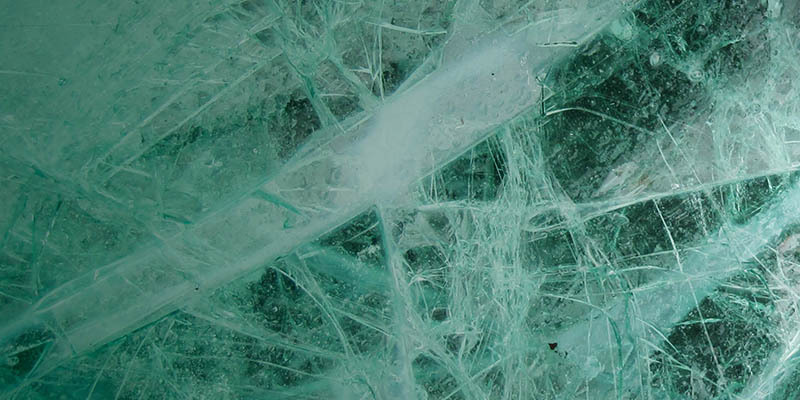 However, connections between structural glass members represent one of the most critical aspects of glass engineering, due to the fragile behaviour of this material. In that respect, research activities on adhesive point-fixings are currently on-going. The mechanical behaviour of adhesive point-fixings is affected by large nonlinearities, which are usually investigated by nonlinear Finite Element Analysis (FEA). This paper focuses on the geometrical and the material nonlinearities of adhesive point-fixings for glass structures. Firstly, the nonlinear material behaviour of two selected adhesives are investigated by means of uniaxial tension and compression tests on the bulk material. The production of specimens, test methodology and displacement rate dependency are discussed. Secondly, the nonlinear stress distribution occurring in the adhesive and the joint stiffness is investigated by means of nonlinear FEA. The effects of several parameters on the mechanical behaviour of adhesive point-fixings, such as the connection dimensions and adhesive elastic properties, are studied. The adhesive stress-strain curves resulting from the experimental campaign show that the adhesives exhibit a large nonlinear behaviour. 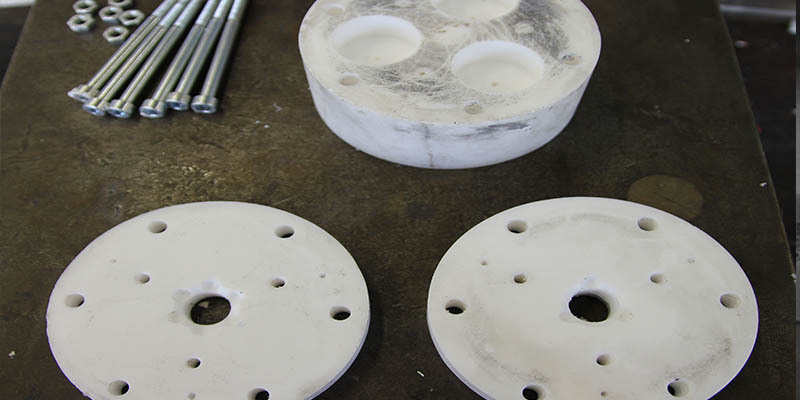 The results show that the stress and strain at failure reduce as the displacement rate is reduced. From the numerical investigations it is concluded that large nonlinearity involves the mechanical behaviour of adhesive point-fixing which cannot be neglected. The stress distribution within the adhesive deviates from uniform nominal stresses, even in case of simple load condition, with stress peaks up to four times higher than nominal stresses. A reinforced glass folded structure has been developed using an innovative connection method. The concept relies on extending the reinforcement outwards from the laminated glass and using it to transfer a significant part of the load. The goal is to accomplish a glass element with high stiffness, connected by using a discrete almost invisible and easily assembled/disassembled mechanism. This paper addresses the main issues regarding the design and fabrication of a 90° folded structure, the experimental investigation of the out-of-plane compressive response and the construction of a full-scale prototype (2,95 m high and 5,5 m long) at the campus of the University of Minho. It is demonstrated that the system offers both structural and aesthetical advantages. It combines a specific aesthetic, deriving from its hybrid character, with a considerable amount of out-of-plane compressive strength before and after failure. Flat glass panels are in use since the time of the Roman Empire. In the ruins of the city of Pompeii, destroyed by the Vulcan Vesuvius in 79 DC, a glass panel in a bronze frame of 300 × 600 mm was found. In this article we describe a mayor improvement in the structural behaviour of glass panels by making the glass curved, or more accurately, corrugated. Both the in- and out-plane loading meet far more resistance against deformation, and the corrugated glass panels have a largely increased bearing capacity with the same thickness of glass the flat panel has. 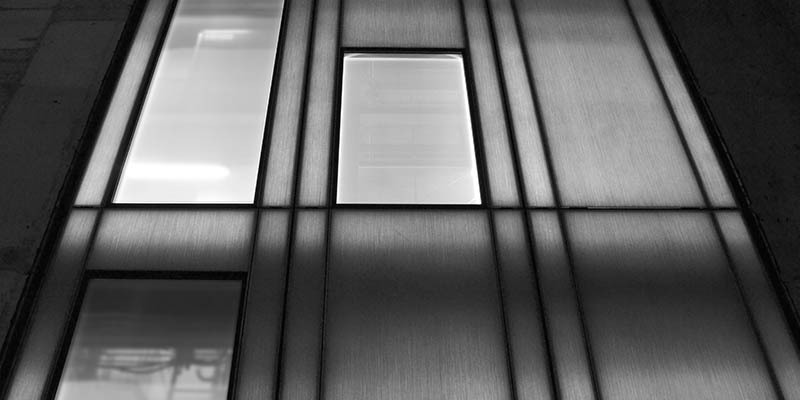 Also architecturally the appearance of a corrugated glass panel in facades is far more appealing.